The Tesla Model 3 U.S. market sales juggernaut is hard to overstate. But we will try out best. Tesla's Model 3 sales are hard to put into proper perspective because they are so large for a premium performance car model. Inside EVs has analyzed registration and VIN data to estimate that Tesla sold 18,650 units in the U.S. market in the month of November. Just of the Model 3. The company concurrently sold about 6,000 Model X and S vehicles. We will try to lay out some perspective for readers on just how dominant the Model 3 is right now. Let's start with a couple of brands that the Model 3 outsold in November. Following that we will look at some higher volume luxury brands' car sales in comparison to the Model 3. Audi says that it sold 17,082 vehicles total in November. That includes every model, not just cars. Yes, the Model 3 is crushing crossover sales numbers as well. Pinning the Model 3 success on a decline in sedans is really not fair. Acura sold a total of 14,053 vehicles in November. That includes the MDX and RDX crossovers, both of which are near the top of their segments in sales. The Model 3 is 25% ahead of all of Acura in sales. In total, Lexus is still larger than Tesla in America. Due to the most part of its dominance in crossovers. Car sales at Lexus though have dropped through the floor. Lexus RC and LC models are nearing zero monthly sales. Lexus top-selling car, the ES sedan, only sold 4,500 units in November. In total, Lexus sold 7,615 cars in November. 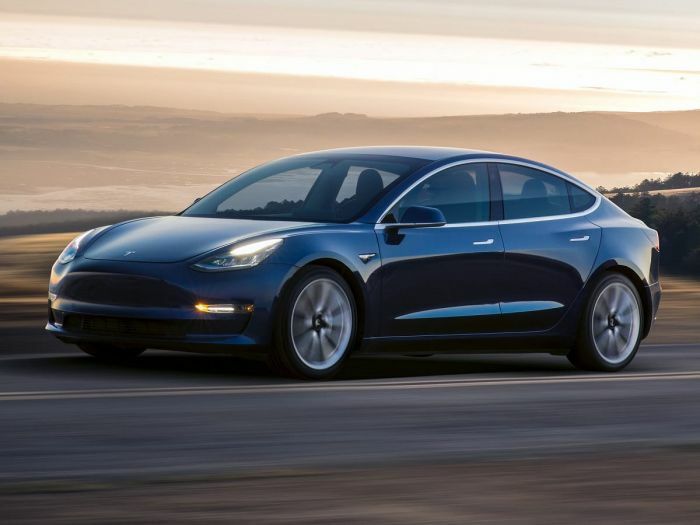 Tesla's Model 3 outsold Lexus' entire car division by more than 2 to one. Like Lexus, BMW is still much larger in sales overall than Tesla's Model 3. In total, BMW moved a respectable 28,330 vehicles in North America. Wait, did we say "North America?" Oh, that's cute BMW, including Mexico and Canada in your numbers, Smart. Anyway, the U.S. sales of the Tesla Model 3 are larger than the 16,511 cars that BMW sold in North America in November. BMW didn't break out its 3 Series sales, or we would give you the scary head to head comparison to the Tesla Model 3. Our estimation is the Model 3 now outsells the 3 Series by about six to one. Tesla's Model 3 sales have now averaged over 18,000 units per month for five months straight. There are about 6 car models in the U.S. market at that volume of sales. To say that the Tesla Model 3 now dominates the premium performance car market is a huge understatement. A nonsensical and totally inaccurate claim - few of those Model 3 cars were actually bought during the period cited - they were bought months and years ago when the owners paid their deposit and got on the waiting list. I'm surpsied aat the ignorance of articles like this, Sounds like it came straight from the PR department at Tesla. Thanks, Ken. I am accused of Tesla-bashing on a regular basis, so now being called a fanboy helps offer me some balance. A sale is a transaction that involves the delivery of goods or services and an in-turn payment for those things of value. The term "sale" as it applies in the story has the same definition we use for every brand and have for a decade. I think you may be confusing the refundable $1,000 reservation deposit fee that many Tesla owners paid to reserve their car prior to the sale. If not, help me understand what you mean. Thanks again for checking in. Not sure I agree with you. Tesla has no competition and they are about to offer the $35k model. Battery prices are dropping about 15% a year and there are many advantages to electric cars. To me it’s a no brainer...we are on the verge of some major disruption to the transport industry. Tesla is well positioned to grow. Who and what do you disagree with/about exactly? Nobody bought or paid for any those cars "years ago" Ken B. A refundable $1,000 reservation for the model3 deposit means nothing during the purchase of a 50K car, during the purchase u need a $3,500 none refundable security deposit, and then a required down payment which varies from vehicle to vehicle. It's not like the 25-50K deposits they wanted for the founder series of modelX top of the line version.